On school days, I like having supper on the go by the time the boys are home. This allows me to hear them and all about their day… well probably just Josh’s day. The others may give me a few sentences.. if I am lucky. Anyhow…. today I am making salmon, brussels sprouts and lemon rice. Yum! I love salmon because it’s healthy, mess free and quick. Brussel sprouts, I used to hate. Then I messed with it and found a yummy version… and thought I’d inhale it all but discovered my people loved it too! I sliced the brusell sprouts, in as many slices as I can, not worrying if they come out messy. (Make sure to wash them really good). 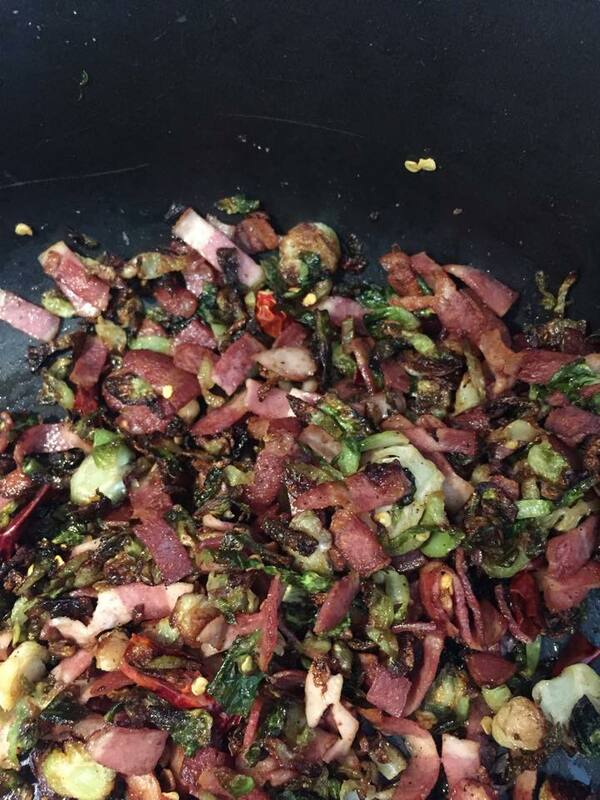 Then with a bit of oil and a little smidgen of butter, sauté the sprouts till they are crispy! Add a little salt, pepper, garlic and red chilli flakes… and Yum! Ok…. 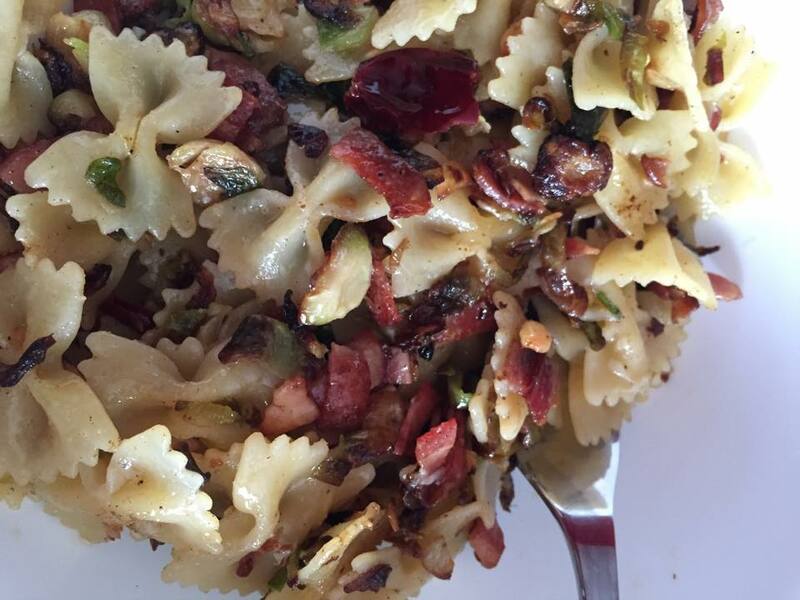 but since I am home and lunch time came around I made this delish, super yummy, pasta for me. Weird. One portion which was weird! Bring to boil the pasta of your choice… I used bow tie as I like the cute shape and lots of salt. Then made the brussels sprouts as I did above. Then added turkey bacon, diced. Yes, I sautéed the wazoo out of it and it was crunchy. Then add the pasta, some parmesan cheese. If I had lemon that would have been the icing — a squeeze of it’s juice. I had more veggies then pasta in the pot so I felt good making it a lighter carb meal. I’m fueled up, laundry is under control, supper is known (isn’t that the hardest part… just knowing WHAT to make)? I hope my babes had a great day — can’t wait to see and hear all about it. This entry was posted in Boys, diabetes- type 2, faith, Family, food, General, moments, motherhood, Parenting. Bookmark the permalink.